For twenty years I’ve been helping owners and executives develop creative ideas for true growth. As I reflect on the many, many successes of my clients, I identify three categories of effort that generate more than average revenue. Read them here and think about how your company could use them to generate more revenue and higher profit, just like my clients have. True growth is when your current customers and clients buy more of what they really like. Current clients and customers—I call them ‘buyers’—are the single best source of new revenue. Every single Trivers Consulting Group client who created a path and plan to maximize top line revenue from current buyers succeeded as planned. How: They invited their current buyers to buy again. Think about that: they invited their current buyers to buy again. They didn’t market to them, or breathlessly offer coupons or discounts or send them millions of promotional emails. They invited them to buy again! To put this in perspective consider what the boost would be to your revenue and profit if every one of your buyers bought one more time than usual in the next 12 months. Just once more. If the average purchase is 3 times per year, one more purchase would create a 33% increase in revenue. And the cost of acquiring that revenue would be tiny, which would boost your profit. 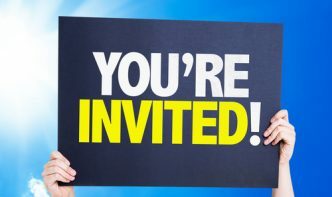 What are you doing to invite your buyers to buy again? When you study the range of services and products you offer, what do you see? If you are like the business owners I’ve worked with, you’ll see that you have some offerings that are easy to buy. I call these Common because they are not differentiated from others out in the market. There are low barriers to purchase. The value is commensurate with the price. The next set of offerings are Uncommon, meaning they are differentiated. There’s usually a range of Uncommon offerings, and as they increase in differentiation, they increase in value and in price. The highest value, highest price offerings are your Exceptional offerings. They are highly differentiated and appeal to discerning buyers who are willing to pay for the high value. When you segment your offerings this way, you and your team have the opportunity to innovate and improve them. Invest your resources in the Exceptional and Uncommon offerings, adding further value and increasing the price. You innovations and improvements should be based on what your current buyers want more of. What are you doing to innovate and improve your current offerings? Your employees are your greatest asset. Their value to the company can increase indefinitely when you see them as fundamental to revenue and profit. We’ll draw on a whiteboard as we explore how each employee (role) generates revenue. What are the connections? What activities or responsibilities boost revenue indirectly? Often we go one step farther, to the executives or managers who direct those employees. 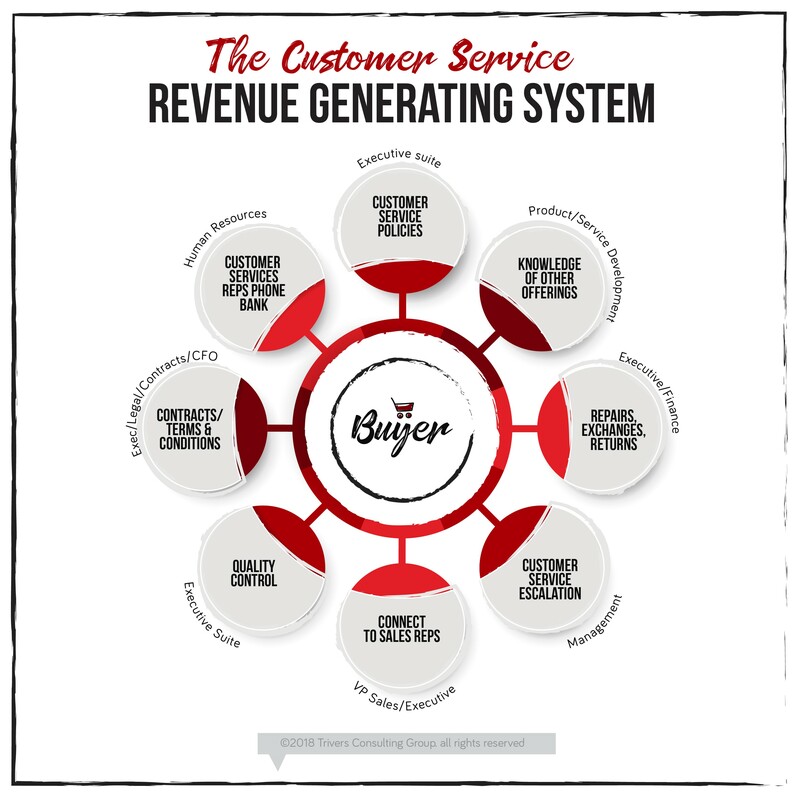 Look at my customer service revenue generating system to see what you can do. How are each and every one of your employees, in every position, contributing to revenue? If you don’t know, when will you stop and figure it out? The shiny objects that will distract you from these proven ways of creating true growth from your current buyers, current offerings and current employees are: Social media! Content marketing! Discounts and coupons! Competitive analyses! and so on. Your current employees, who will exceed your expectations once you have shown them how critical they are to the company’s revenue, no matter their position. I’ve shared with my clients hundreds of tactics to execute these catalysts for true growth. If you need a short term boost to get started, or some level of ongoing guidance and accountability to achieve your revenue and profit goals, you’re ready to schedule a Listening Call. Email or call 703-790-1424.